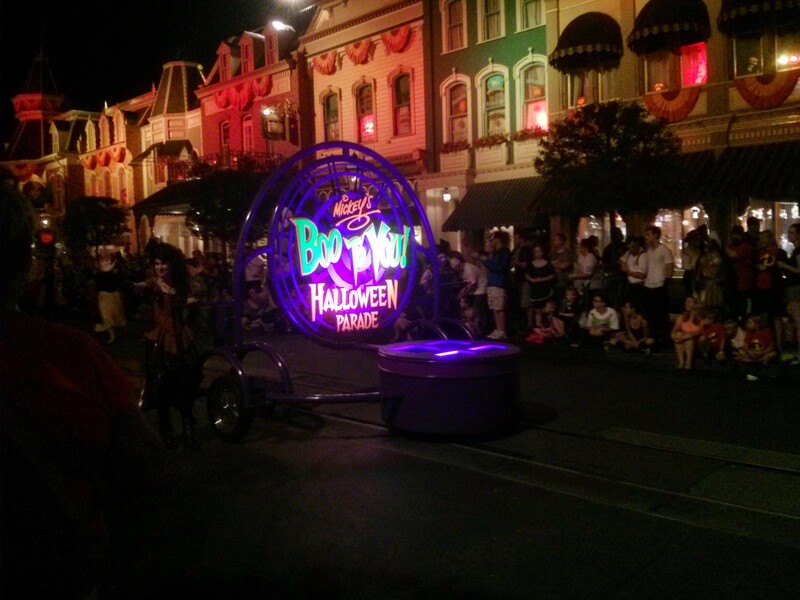 And now down to the nitty gritty, the meat, the FUN stuff – the Disney Parks review! 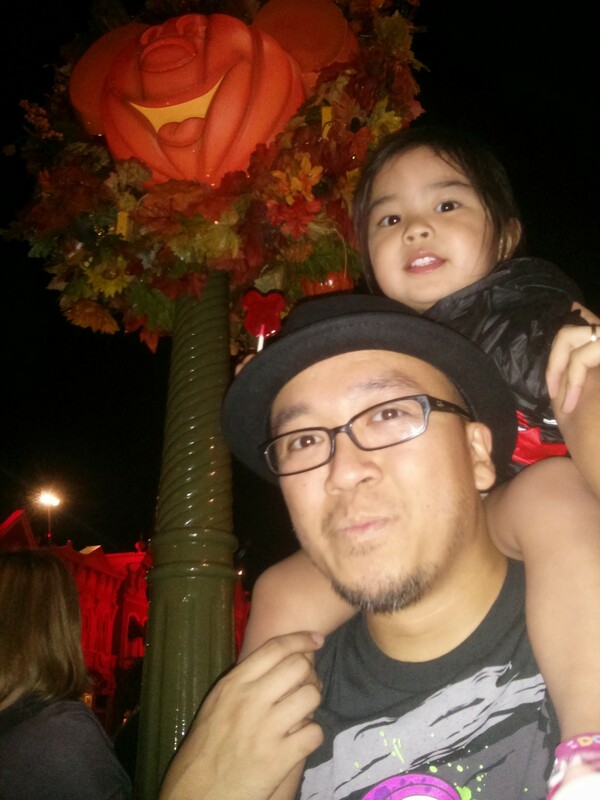 Our trip was planned in late September, so after googling Disney information, I came across an interesting alternative to the usual Magic Kingdom visit: Mickey’s Not So Scary Halloween Party! As a family, we had been to the Magic Kingdom (Orlando) once and to Disneyland Paris once, so going was nothing new, but this Halloween party was intriguing! Tickets cost $62 per adult versus regular $99 admission for the Magic Kingdom. Kids under three are free so that was a plus for us! Regular park hours are usually 9a to 9p, but the “official” Mickey’s Not So Scary Halloween Party (I’ll refer to it as MNSSHP from now on) hours were from 7p-midnight. They actually let you in the doors at 4p, however. You are given plastic loot bags (but you can bring your own, and believe me I’ve seen people carrying SACKS around) to collect candy at various stops throughout the park for trick-or-treating. A map is provided to show you just where each stop is, and trust me, they do NOT chintz on the candy! Each stop is marked with a lit-up pumpkin sign, and we didn’t wait more than 5 minutes in each fast-moving lineup. They will put handfuls of the GOOD stuff into your bags – all kinds of mini chocolate bars (Aero, Kit Kat, Smarties, Mars, etc.) and the typical candy as well (Laffy Taffy, lollipops, etc.). Unfortunately (?) for us, it started to rain HARD as soon as we had parked the car, but this disadvantage proved to be quite the opposite. Because of the incessant downpour (which didn’t cease until 10p, may I add! ), we didn’t wait in line for any ride longer than 5-7 minutes! WOOHOO! 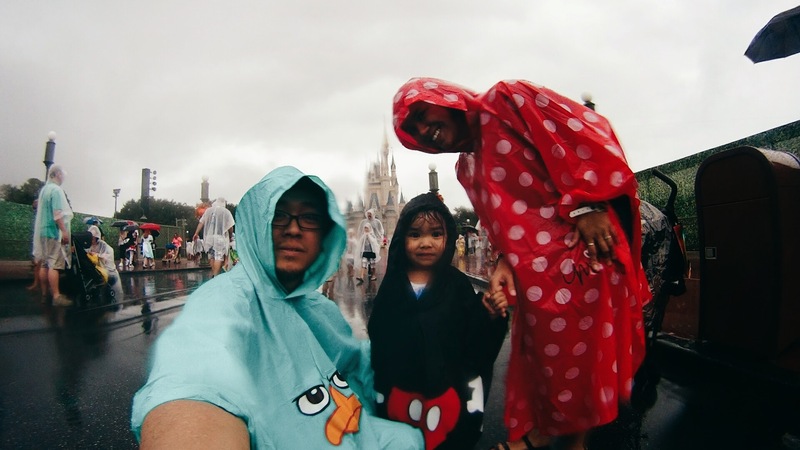 A couple of days earlier, after checking the weekly forecast, we bought ponchos to wear to the Kingdom (Phineas and Ferb for daddy, Minnie Mouse for mommy, and Mickey for little Dani) for $7.99 each at the nearby Walmart. The selection of Disney stuff there is AMAZING and way more affordable than anything in the actual parks, so we also picked up a couple of Mickey shirts as Hollywood Studios attire for later in the week. Cleverly outfitted in our ponchos and flip flops (John wanted to wear sneakers but I said NO WAY – they’re going to get ruined and stanky), we opted to take the ferry over from the parking lot to the Kingdom instead of the monorail as there were only a few handfuls of people in line. It was our first time ever riding it, so it was a nice little trip on the water. Although I would never turn down (free) sweets, after two candy runs we opted to prioritize the rides instead to make use of all the time we had there. Every ride in the park was open, so we rode pretty much every Dani-friendly attraction: It’s a Small World, Enchanted Tales with Belle, the Dumbo ride, Peter Pan’s Flight, etc. We dined on the usual fast-food fare of hot dogs, fries, and chips, as most (I’m not sure if all) of the concession stands and restaurants were open that evening. To ease the spending, we brought in a small soft-shelled cooler filled with water, juice, fruit snacks, Lunchables, etc. to keep Dani happy. Generally, you are allowed to bring in your own food from outside, as long as it isn’t anything dangerous like metal silverware (particularly knives), glass bottles, and liquor (obviously). Our fantastic Halloween excursion began at around 4:30p, and by 11:30 I was ready to conk out, so we took the monorail back to the parking lot and headed to McDonald’s for a late dinner (they had $2 Big Macs on special at the time.. score!). Then off to bed to rest up for the next adventure! 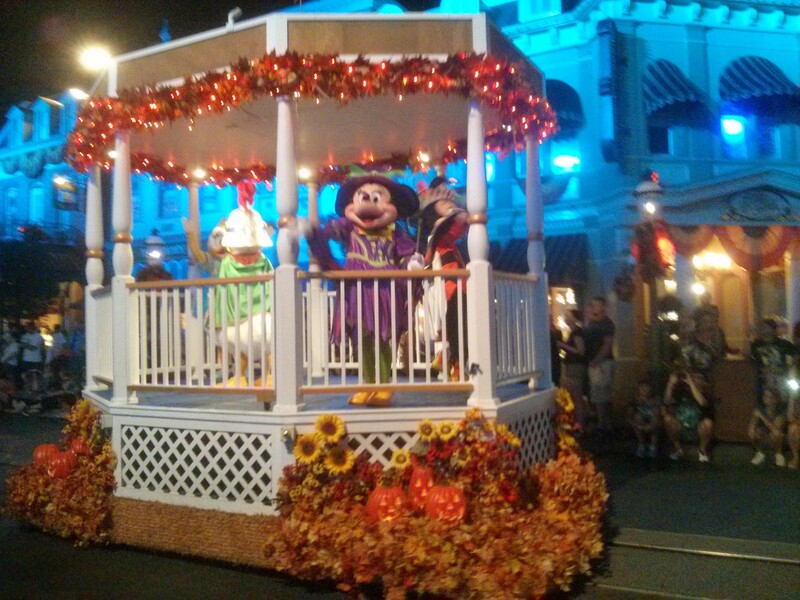 I would recommend MNSSHP to anybody who prefers to travel to Florida in the early fall – I always find it the best to go around when school starts, because it’s not as hot as in the summertime and crowds tend to be lighter. I think I enjoy the savings stories a lot…especially since it surrounds food….$2 Big Macs! Good tip for people considering Disneyworld I’m the Fall. Halloween themed events are more unique than the usual magic kingdom that you usually see in travel blogs and magazines. Trust me, every little bit goes a long way when Disney is concerned 😉 Glad you like the tips. You can use them when you take your future little one(s), or even your big-kid selves (I’ve done that too)!